When Lily Dietz, an ambitious yet short-tempered Asian-American NYC homicide detective, and longtime partner John Fremont begin to work a unique but gruesome murder case, cryptic clues in the evidence start to link with Lily’s dark and troubling past—one deeply imprinted with many psychological and emotional issues. Borderline manic-depressive and a self-destructive alcoholic, Lily is strikingly beautiful and spoiled by her younger brother, CJ, an NBA All-Star basketball Knicks player, due to guilt uprooting from their own family history; separations of heart-wrenching losses and disappointments. The hunt for the killer escalates when the detectives discover more than one murder. Someone with cruel and twisted intentions motivated by a taste for sophistication yet also depravity is targeting and brutally mutilating Asian-American women. 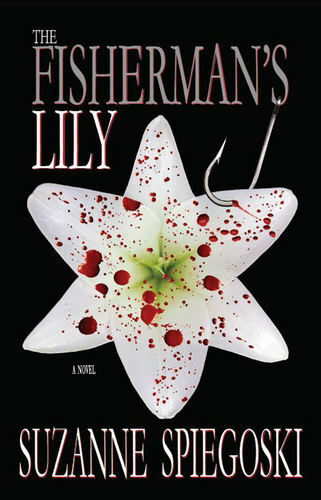 And somehow, the murderer knows Lily far too well. Soon the game of cat-and-mouse becomes a thrilling chase from beginning to end, where Lily’s reality and the people in it begin to doubt her, not only as a detective but as a person. Who will be able to save this damaged soul? Or who will be the one to destroy it? Suzanne Spiegoski’s work has been published in the Michigan State Press, Complex’d, L'Oeil de la Photographie, Westfall Music Group, Figure Skating in Harlem and Backstage. She grew up in Los Angeles and Detroit and has a B.A. in Criminal Justice from Michigan State University. She is also a photographer and professional figure skating coach. She lives in New York City with her husband and German Shepherd and is currently working on her second novel.